If your business sells anything online, then you know the importance that compelling product descriptions with professional freelance copywriting services can have on your bottom line. There are many theories on how to write compelling product description for e-commerce and online stores, but the bottom line is that if you want to hit your goals, then your product copy needs to be worth reading. Product descriptions are the most influential element of an online marketing strategy for your goods and services. 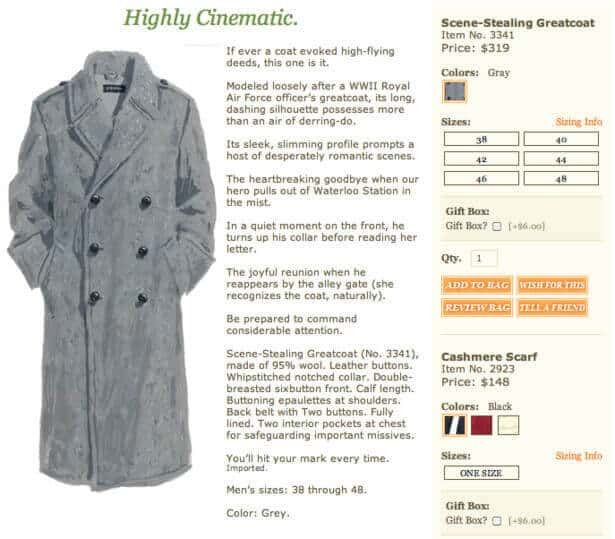 A compelling product description can be the difference between a sale and a lost click. If you want to leverage the best tools available, then you should check out free small business marketing tools to help you grow your business. The importance of product descriptions can’t be dismissed because they are the only thing that connects your reader to the product you are looking to sell. Unlike physical products in brick and mortar stores, e-commerce stores can’t put the product they are seeking to sell in the hands of their customers. This is why the job of a product description copywriter is so important. They are tasked with the challenge of creating an experience that will compel a reader to take action and buy a product that they are unable to test and look at first. Product descriptions are the last touch point before purchase, and the full weight of a purchase often falls on the quality of product copy. Here are five principles and tips that you can use to craft awesome product descriptions that will drive conversions and increase sales for your online store. Every product is produced with a target audience in mind. This product is invented, manufactured, and marketed to solve a problem and meet the needs of that target audience. Since your product was made for a particular demographic, your product descriptions should also be created specifically for that audience. The best way to ensure that your audience will fall in love with your product description is to start with your user personas. These are theoretical frameworks you can use to develop an understanding of your customers. These descriptions usually outline demographics, general trends, and preferences of your client base. User personas can often be mistaken by lazy business owners as an opportunity to guess and make hypotheses about their audience. Instead, if you want to write compelling product descriptions, then you must interact with your customers as you optimize your user personas. Emailing surveys, submitting online questionnaires, and reviewing analytics is one way to build user personas. However, the best way to gather data to create user personas is to talk to your customers directly. You can ask specific questions about products through phone interviews and on customer service calls. Once you have a thorough understanding of your customers, a professional description writer will be able to craft a product description that speaks to your clients and aligns with your business goals. 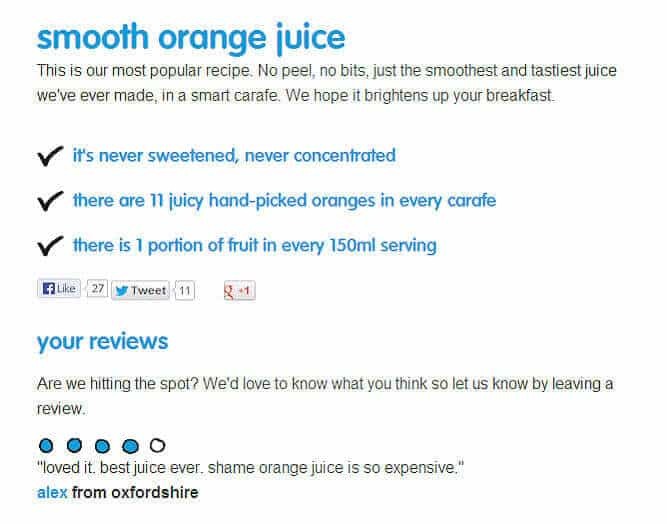 No matter what you are selling, you should tailor the voice of your product descriptions to your audience. Based on your knowledge from customer research, you can use your user personas to write product copy that meets the emotional needs and expectations of your audience. Gain the trust and establish rapport with your audience. Differentiate your product from similar competitors in the market. Build a personality for your brand and product. Leave a strong impression if they do not buy at that moment. Drive a value proposition towards a sale in the immediate timeframe. You should use every product description to speak to your customers in a tone of voice that your customer need. Doing so will not only allow you to write better product descriptions, but it will also help you increase sales and drive conversions. For example, the product description for a security system sold online will set a different tone and establish an underlying message of strength and trust. However, a gag gift or playful product will have a playful and lighter tone in the product description. The difference in the tone of voice is a subtle yet influential aspect of writing product descriptions. You should take great care to ensure that the tone you use in your product copy matches the intent and emotional state of your customer. Otherwise, a product description that does not meet the needs of your customers could result in a lost sale. Some businesses lose track of essential elements of their products, because they have spent years developing, marketing, and promoting specific products. Instead of remembering that their products are only as good as the problems their customers experience, marketers continue to talk about the specs and features of a product. The best product descriptions explain the features and benefits of a product. Even more important, product description writers share those benefits and results in a way that creates a story to emphasize the value of the product further. Most of your customers don’t care about the details about how your product works or the features that you think are amazing. They only care about how your product will improve their lives, and it is the responsibility of a product description writer to show the benefits through compelling product descriptions. To do this, you need to take the quality of your product to the next level with amazing product copy that emphasizes the benefits of your product. Your product descriptions need to be attractive to your audience while also driving home the intended purpose of the incredible product you offer. While there is no secret to writing product descriptions that convert, you can rely on the experience of a professional product description writer to deliver content that engages, convinces and sells your product to a specific audience. Only by knowing your intended audience, their needs, and the benefits and results in your products offer can you increase sales with compelling product descriptions. It is easy to describe your product in simple, short terms quickly. However, this method will likely lose you sales and profits along the way. Since you know that you face heavy competition in your market and that your customers have lots of options available, you should use your product descriptions as an opportunity to tell a story. Don’t just write your product copy. Think about adding value to your products and help them stand out by writing compelling product copy that makes your readers envision themselves using the product. A short story is an excellent way to make your product descriptions are prominent because instead of merely describing your product you can share the vision and benefits. Make your readers feel the excitement of reaching their goals with your product. Have them feel the benefits and positive emotions like they have already purchased from you. A professional product description writer will know how to research, evaluate, and write compelling product descriptions for your e-commerce store. This product copy will go beyond simple descriptions and help your customers experience your products through short stories! In the highly competitive e-commerce market, you need your online store to stand out. You should optimize every aspect of your store from images and testimonials to static content and product descriptions. As you build your user personas, you should consider the types of keywords and terms your audience will use when searching for your products. This kind of insight will help you develop product copy that aligns with the needs of your customers and will help you get found in search engines. Avoid jargon because it can complicate the decision process. Only use jargon if your buyer will use the same jargon during the decision making cycle. 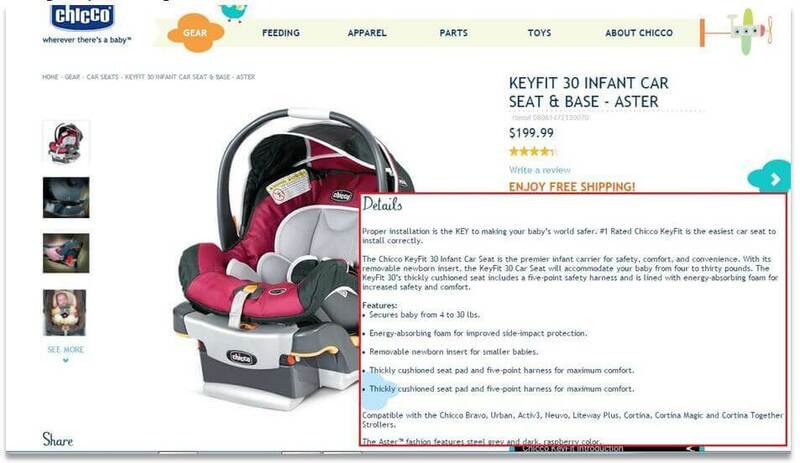 Use key phrases in the headline, subheader, and body of the product descriptions. Optimize images with the alt tag, filename, and image descriptions. Since your online store will have several images for each product, you have an excellent opportunity to drive traffic through search engines by optimizing the images you use. Don’t think too much about SEO in your product descriptions, but consider how your product copy can support your online marketing strategy. A professional product copywriter should have experience with SEO copywriting as well as product descriptions. This knowledge will help you get found on search engines while also converting your readers into paying customers. Put Your Product Descriptions To Work! Product descriptions are the last line of defense to drive a sale from a prospect who might be sitting on the fence for purchase. The science and art of writing compelling product descriptions is difficult to master, but your e-commerce store requires the best product copy to hit your business goals. Use the above tips to write better product descriptions based on the needs of your audience and the products you offer in your store. Be sure to rely on data to troubleshoot if your online store is performing well, and see how you can optimize product copy across your site. If your online store could benefit from increased sales, then be sure to check out my professional freelance e-commerce product copywriting services. 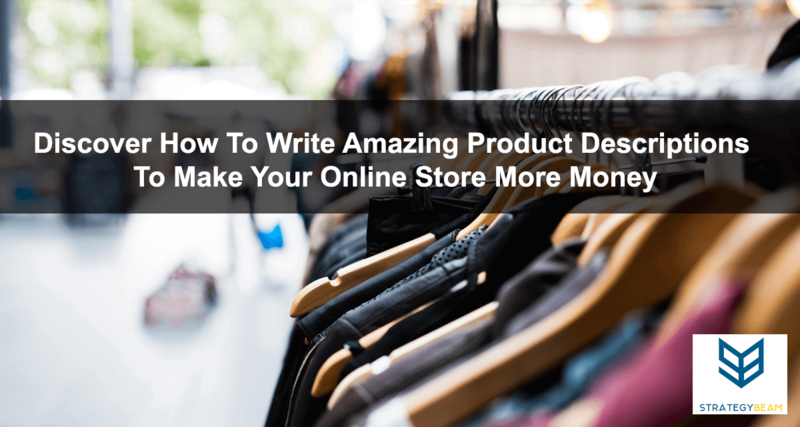 I write product descriptions for a variety of stores across the U.S., and I would love to learn more about your online store and see how I can help you write better product descriptions today!